At 2141 Santiam Hwy. S.E., this is the 13th center of its kind in Oregon. 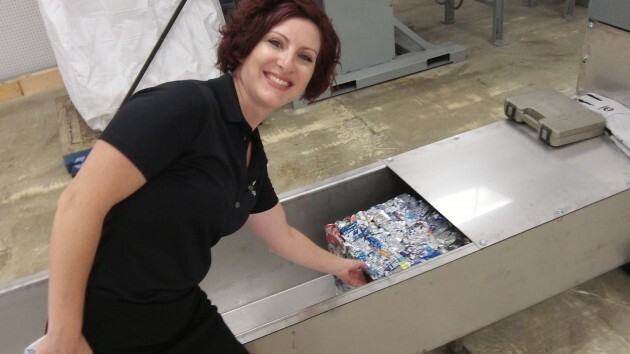 Eventually there will be 45, intended to make Oregon’s expanded container-deposit-and-return law work better without forcing retailers to drown in ever bigger piles of empties. In a few days, by Aug. 31, major beverage retailers in Albany will be able to close their bottle-return stations. Unlike most of those stations, the redemption center is indoors and will be staffed to help customers during business hours seven days a week. It has six employees, I learned from Bertges, who is the beverage cooperative’s public relations and outreach manager. 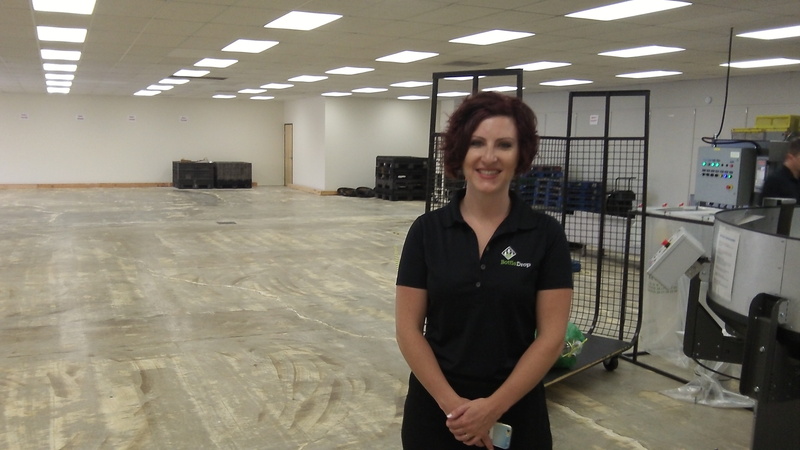 As she explains in the video, the most convenient way to return empties is via bar-coded bags available at the center to customers who open an account. The first two are free; after that they cost 15 cents. 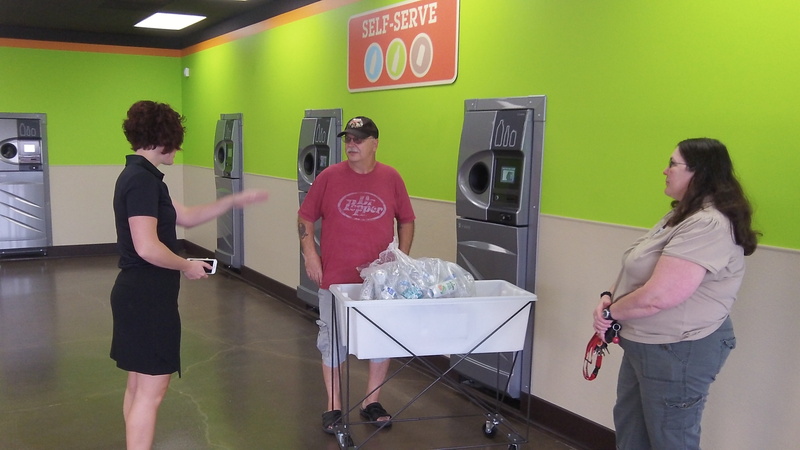 The bags, filled with empties, can be returned any time day or night, and automatically credited deposit amounts can be redeemed at the center or the participating retailers. Albany’s is the first BottleDrop in the mid-valley. But there are plans to open one in Corvallis eventually, and perhaps in Lebanon as well as time goes on. Cherilyn Bertges points out how cans are compressed into cubes if several hundred each. Bertges talks to two of the first customers who came to return empties. Plenty of room for storage of containers until they are trucked away for recycling. The process is “voluntary” to the stores that are within a certain radius of the recycling center. We have no choice in the matter except boycotting those stores.